MUNICH -- Bayern Munich sporting director Hasan Salihamidzic has blasted Didi Hamann's recent criticism of Robert Lewandowski accusing the former Liverpool and Bayern midfielder of "creating a campaign" against the German champions top scorer. 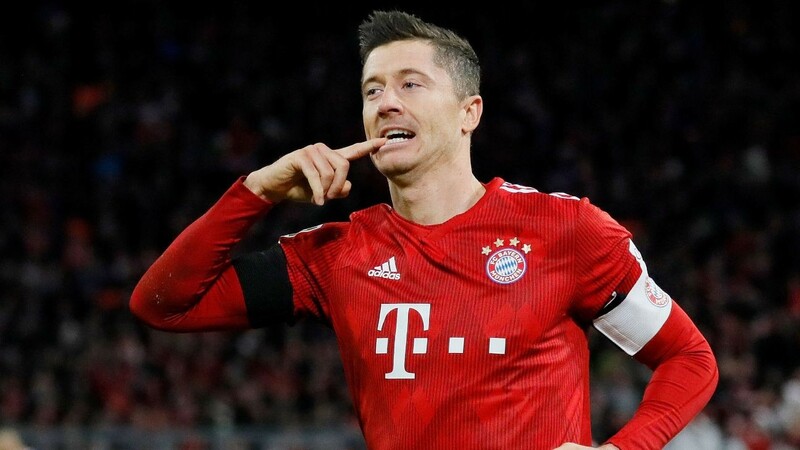 Hamann had insisted Lewandowski was "turning into a problem for Bayern," while the Poland international hit back in midweek labelling criticism of his performances by the former Liverpool and Bayern midfielder as "stupid." Lewandowski notched his 13th Bundesliga goal of the season on Saturday as the German champions cut Borussia Dortmund's lead at the top to five points with a comfortable 3-1 win over Schalke, taking advantage of BVB letting a three-goal advantage slip in the final 20 minutes in a dramatic 3-3 draw against Hoffenheim earlier on Saturday. After the game in Munich, Salihamidzic backed his striker while also continuing the criticism of Hamann. Robert Lewandowski scored in Bayern Munich's win over Schalke to cut the points gap with Bundesliga leaders Borussia Dortmund. "I believe it is a campaign. I don't think Robert Lewandowski is a problem for Bayern, Didi Hamann is a problem for Sky. "I have to praise Robert's performance today, he's playing like a genuine leader. He's having the most complete season with us, getting involved in play and is our top scorer. Therefore, I cannot understand why Didi Hamann criticised him like that." The former Dortmund striker also captained Bayern for the first time in midweek, playing a key role as Bayern beat Hertha Berlin 3-2 after extra time to reach the DFB Pokal quarterfinals.